One of my goals this year is to run 100 miles. 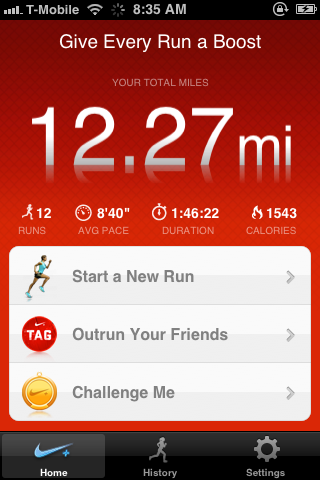 To keep track, I use the Nike+ app on my iPhone and enable it on every run. It’s pretty cool seeing the route, elevation, and pace of past runs. Plus it’s fairly accurate. Research has shown 80 percent of people who make resolutions on Jan. 1 fall off the wagon by Valentine’s Day. About a third of the year has passed and I’m behind schedule. Do you have any goals you’ve set for yourself this year? If so, let’s not become another statistic in the 80 percent. Time to turn it on! © 2019 Alex Le. Powered by Jekyll on Github.